Moira is a philosophy professor, parent, feminist, and outdoor enthusiast. Over the years, I’ve put a lot of effort into getting good glide out of my classic-style cross-country skis. I learned to wax my own skis to get better grip and glide. I took lessons to improve my form and studied videos of ski racers—like Marit Bjørgen—who have inspiring classic technique. I also bought multiple pairs of skis to achieve the best glide in different conditions. My favorites are a pair of “zero” skis designed for temperatures around zero degrees. 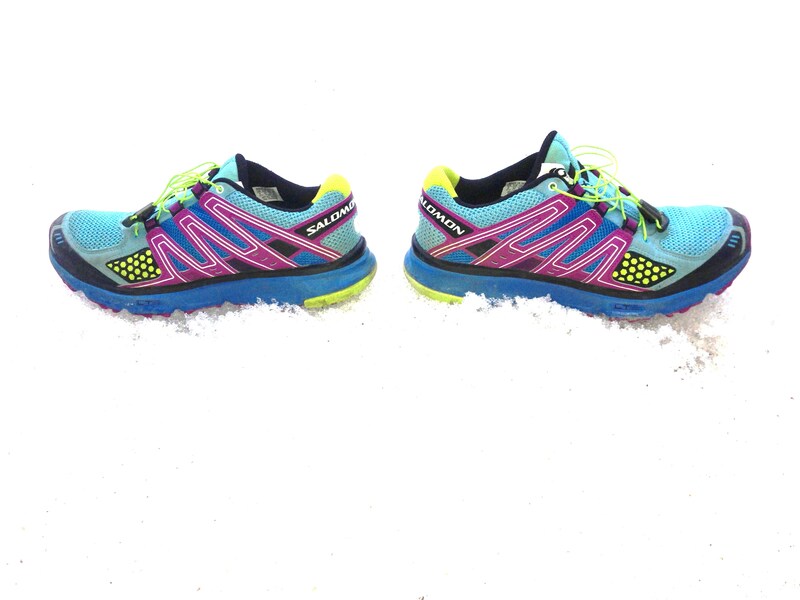 With zeros you sand (rather than wax) the kick zone, so you can even ski on ice. The glide is amazing. Despite the fun I’ve had chasing better glide, this year I decided to pursue convenience instead. I’ve had a somewhat challenging year and my personal time has been limited. It takes time to prep skis and if you don’t gauge the weather and snow conditions correctly, you often have to wax or sand again while out on the trails. It also takes me about 40 minutes to drive to the beautiful track-set trails at my local Nordic club. Getting out for a quick ski before work or at lunch started to look like an attractive second best. So I added a pair of “grab and go” waxless skis to my ski wardrobe. Less glide, but more convenient. And good on the rougher trails close to home and work. It turns out, though, that waxless skis have improved a lot. On my inaugural waxless tour through the neighborhood, I was surprised by how great the glide was. I sailed over rough snow and icy footprints and had some seriously good, effortless fun. But the great glide also made me suddenly aware that I hadn’t really felt free and joyous in a while. Unsurprising, I guess, given that I was busy choosing convenience over passion in the first place. But it was nonetheless an epiphany of sorts. The experience of glide also has interesting psychological dimensions. When gliding, we often leave judgmental, busy minds behind and immerse ourselves in the moment. It’s fun, and sometimes involves experiences of flow or “being in the zone.” Glide can also awaken us to the simplicity of being, or signal that we are drifting from authenticity elsewhere in our lives. Given the significance of glide, now seems an especially good time to notice it in our athletic activities. From the standpoint of social and economic justice, this year looks pretty challenging. It will take strength to respond wisely (and creatively) to prejudice, cruelty, and bad behavior. Staying centred and keeping our collective spirits up will be important. In this, maybe glide can help. And if not, at least we’ll have fun on the ride. On a trip to the Alps twenty years ago, I got on the train at Chamonix at the same time as a mountaineer. Replete with climbing gear, the mountaineer had the taut muscularity typical of those who spend years climbing in extreme conditions. And she was probably over 70 years old. I was surprised by her, which indicated that I still had unconscious biases in my thinking about women, aging and adventurous activity. 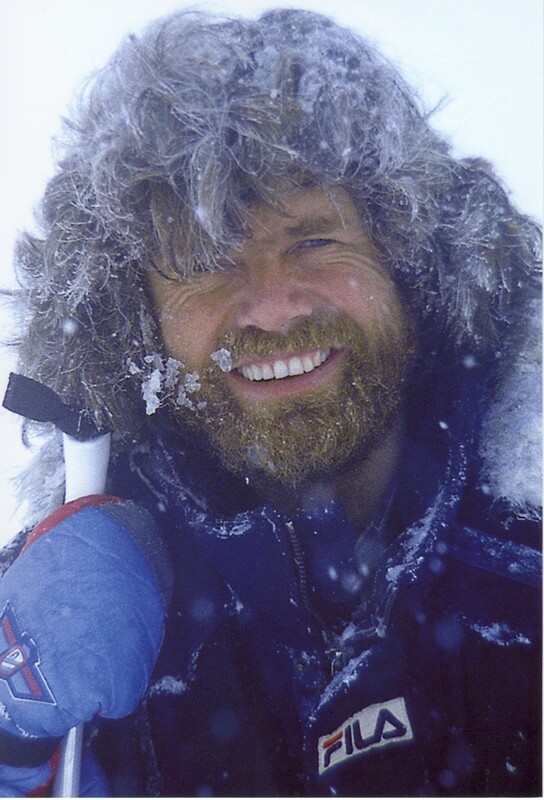 A Reinhold Messner-type, smiling broadly through an icy beard, lived in my mind and was not going to make room for others without encouragement. I remember this woman not only because she gave me an opportunity to examine my biases (yet again), but also because she presented an option for the future I had not considered. People of exemplary character often transform others in just this tacit sort of way. The lack of opportunity for these kinds of tacit encounters is just another of the many harms of ageism. One way people have tried to address this problem in sport is to “add women and stir.” The idea is that if more women participate in non-traditional sports and more young girls and women have good role models, we will eventually achieve equity. And if more older women participate in sport, we will be able to overcome biases associated with aging and activity. But the “add women and stir” method will only get us so far. In Canada, many think the goal of exercise for the elderly is to delay physical decline, disability and dementia, even though old people themselves often cite other reasons like fun, sociability, excitement and challenge. And many think that what the elderly do for exercise – whether recreational or competitive at the masters level – merely amounts to lesser, easier versions of exercise for young people. Why should this these be the dominant ways of conceptualizing the physical activity of older people? The problem, he argues, is not so much aging in sports as it is ‘social organization that conceals the resources and the otherness of aging.’ And because aging is viewed in very different ways cross-culturally, many different resources for movement cultures exist. But this is typically hidden in mono-cultural perspectives of sport. Another option for understanding aging and activity stems from Simone Fullagar’s ‘slow, social and sensuous’ view of sport. Her approach challenges the dominance of ideals related to strength, speed, and ‘winning’ in sport and re-values diverse forms of physical activity. The slow, social and sensuous aspects of sport are on par with other aspects of sport and do not just apply to activities like yoga and dance. These experiences are also a part of sprinting and skiing and all else. And we can learn a lot about these other dimensions of sport from older, more experienced athletes. This is not because they are slower athletes. Often they are faster and train smarter. Rather, older active people have often developed wisdom through experience and are better able to integrate wisdom in living with sport and recreation. 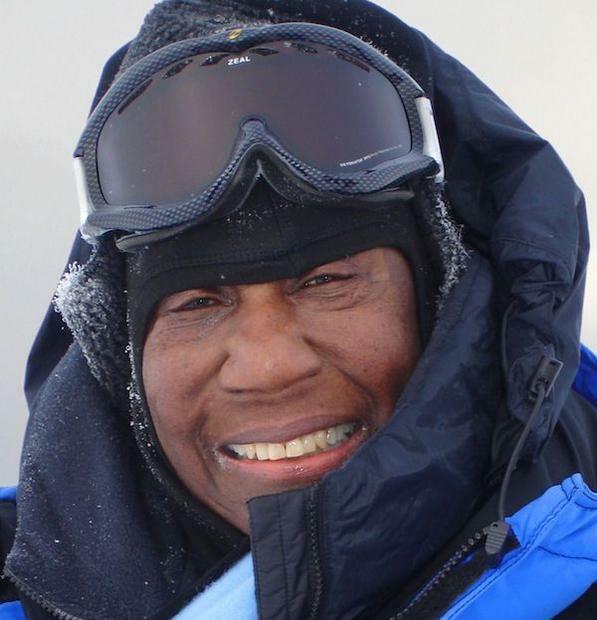 When I think of Barbara Hillary’s expeditions to the north and south poles at ages 75 and 79 respectively, and read what she has to say about adventure and life, I see wisdom and integrity. Her virtues in living and physical activity are fully integrated and this is inspiring and empowering. And tremendously reassuring: when older women take control of situations, blaze trails, and share their knowledge and experience they build conceptual structures for other women to climb. Women like Hillary are wise in ways that most young people simply are not. Thus, out of her ‘own premises,’ she offers a great and unique gift to society. I don’t know what radically new movement cultures created by people older than me might look like in my own community, but the possibilities are exciting. Drawing attention to them – and finding ones that exist but are hidden by prejudice – is perhaps one of the most important projects ahead for women in sporting contexts. I’m sure the mountaineer in the Alps had a lot to teach me about movement in the world and I’m delighted that she and Barbara have joined the Messners of my mind. What I need now is to learn more from people like them and find ways to help others take control of movement cultures, the ways in which they are defined, and the values that they promote in sport in recreation. Moira Howes, B.Sc., M.A., Ph.D., is a philosophy professor at Trent University. She philosophizes about lots of things, but mainly about argumentation, biology, feminism, intellectual virtue, and objectivity. Most recently she has been writing about mindfulness, virtue, and adventure sport. 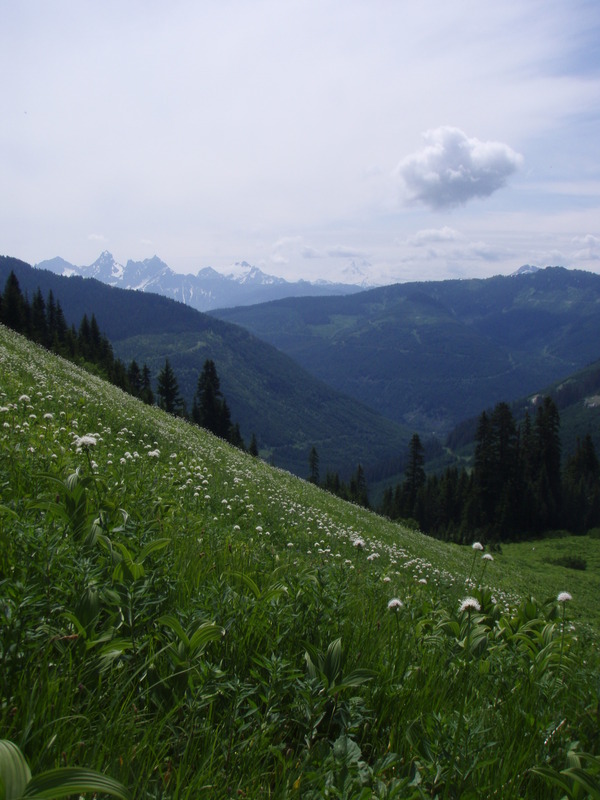 Her favorite activities include trail running, skiing, snowshoeing, canoeing, and hiking. This time of year, my thoughts turn to adventures in the snow, especially the tantalizing 160 km Canadian Ski Marathon. The CSM easily fits archetypal male adventure narratives, or what a friend of mine once called the genre of “Men Who Die in the Cold.” You hear stories, like the one about the man who did the gold-level marathon each year with a frozen fish—“dinner”—strapped to his back. But the CSM actually emphasizes a very inclusive and open understanding of adventure. Thanks in part to adventure narratives from people with diverse abilities, ages, sexualities, and cultures, we know that there are many different ways to be an adventurer. What counts as an adventure is relative to your personal and social circumstances. Because the focus of the CSM is skiing not “winning,” skiers can design their own adventure while still experiencing the fun of a shared event. You happily find all sorts skiing the CSM. Adventures like the CSM have, I believe, something to teach us about how fitness contributes to well-being and a good, flourishing life. And this is that fitness matters less than you might think. While I fully agree that exercise is important for physical and mental well-being, there are at least two difficulties with “fitness.” First, fitness is not by itself a goal worth pursuing. We want to be fit because it will help us achieve things we desire, like living a longer, better life, or do fun things like skiing, walking, or chair racing. My guess is that if you pursue fitness for its own sake, you are going to come up empty. The second issue is that for many, fitness goals are tied to body image ideals which are in turn tied to the judgments and evaluations of others. By focusing on how “fit” or “attractive” your body is, you are likely focusing on evaluations that are external to your identity, needs, and well-being. One problem with focusing on these kinds of external evaluations is that they can sap your motivation. Exercising to look good for others, please others, and avoid negative judgments is dispiriting. Granted, motivation is a complex phenomenon. But my most successful training happens when I do it because it feels good and inspires feelings of adventure. Fitness happens as I experience joie de vivre, test limits, face fears, navigate risks, have fun, be with friends, and wholeheartedly engage the natural world. Motivation depends crucially on setting internally meaningful goals and it is easy to find meaningful goals in adventure. “External” fitness and body image goals in sport also appear to undermine happiness. Research suggests that people who have obsessive passions for their sport—that is, they ruminate about how their sport relates to self-worth and social acceptance—are less happy than those with more harmonious passions. Those with harmonious passions for their sport—that is, those who do not ruminate and who are better able to achieve “flow” while engaged in their favorite activity—have greater well-being and higher achievement in general. (See the work of Robert Vallerand and Geneviève Mageau.) When we ruminate about body image and fitness ideals, we miss out on the wonderfully enlivening emotions—awe, fear, joy, passion, exhilaration—that adventures offer. When we allow ourselves to experience these emotions fully, we develop our ability to experience flow and consequently, happiness. Framing athletic experience with extrinsic motivators like body image or fitness levels also won’t help much with living a more ethically meaningful life. As cheating athletes show, fitness is no loyal partner to ethics. But a wholehearted adventurous spirit might be. In “Climbing Philosophy For Everyone,” Pam Sailors draws a link between ethical action and climbers of two different stripes. “Summiteers,” who focus on getting to the summit and doing so the fastest and with the most fitness, are less likely to help other climbers in trouble. “Mountaineers,” who focus on the experience of climbing mountains, fostering relationships in their climbing teams, and gaining self-knowledge are more likely to abandon their climbs to help others. People with a harmonious sense of adventure focus on meaningful internal values, which includes fostering those values and caring for others. But perhaps the nicest advantage of adventure over fitness is that adventure isn’t tied to success in the same way. Misadventures can be just as valuable for your life. Just before the Gatineau Loppet last winter, I came down with a bad cold. My training for it hadn’t gone well and the cold seemed like a good sign that I should sit it out. But I really didn’t want to miss my first loppet—and ski—in gorgeous Gatineau Park. And besides, I could always leave the race if I had to, right? Well, I didn’t bail, but you would be right to suspect things didn’t go well. I nearly missed the race start because, after a long washroom line-up, I lost track of my family and didn’t want to begin without waving to my daughter. I followed the slow start with slow skiing: in my weakened state the snow felt like fudge. Then about 5 km in, a skier who couldn’t stop crashed into me when someone wiped out in front of us on a downhill. Toques everywhere. By the 10 km mark, I thought I was going to drown in my own immunological goo. But I kept going, and I’m glad I did. I felt such joy seeing my little daughter wildly ringing her cowbell and yelling “Go Mommy” as I crossed the finish. I met my goals of experiencing a loppet and skiing in Gatineau Park. And I learned that I could overcome “negative” self-talk like “you’re going to get pneumonia, you fool.” Good to know in case I’m ever, say, skiing with the flu while being tracked by hungry coyotes. But the point is that I took away some valuable lessons and experiences and I didn’t spend any time ruminating about fitness or body image or social acceptance afterwards. I could have cared less—I made it out alive! And I’m guessing that elite skiers who engage their sports with harmonious passion feel similarly. Good adventures have a lot to do with how you handle and value the misadventures. They are not made of ruminations about who has superior maximal aerobic capacity. I don’t want to sound unsympathetic—au contraire. The additive effect of body image and fitness ideals from countless sources in our society is substantially influential. But we are nonetheless responsible, individually and collectively, for the goals we set. In my view, wholehearted, adventurous engagement with your activity is the best antidote for fitness and body image ideals. And the best motivation for tackling damn fool events like the Canadian Ski Marathon. Fish or no fish.